Former Shin Bet head Yuval Diskin sharply criticized the Netanyahu government Sunday over issues ranging from the still-frozen final status negotiations with the Palestinian Authority to the premier's personal conduct while in office. Speaking on the 70 Faces Israeli television program, Diskin, who headed the Shin Bet internal security service between the years 2005-2011, alleged that Israel is weaker than it has ever been. "I worked alongside several prime ministers," Diskin said. "There were some who were different but the current leadership does not have a real plan and does not lead by example". Upon being queried whether he was referring to Netanyahu, Diskin replied that "I saw it with many things on a daily basis, such as how he handled responsibility and made decisions". Diskin hinted that the root of his displeasure with Netanyahu lay in the latter's refusal to advance the idea of a Palestinian State. "We also hurt innocent people. When we want to make peace, we need to make it with our enemies. It's difficult," said Diskin. 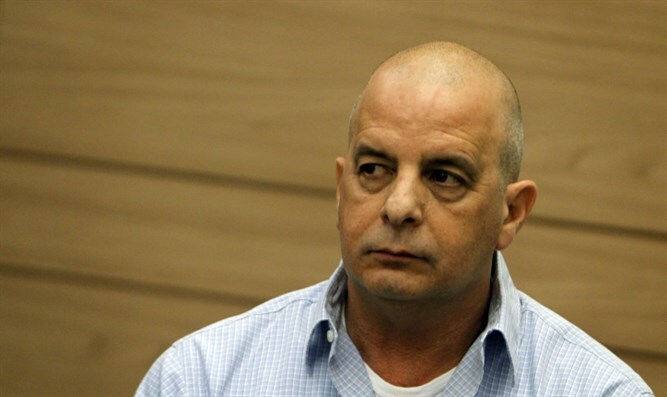 Diskin also talked about the Shin Bet's method of pinpoint assassinations, which he developed while serving as the deputy Shin Bet head during the Second Intifada. The doctrine of preventive assassinations, which are widely considered to have played a role in ending the bloodshed, has received renewed attention due to an upcoming blockbuster book on the subject by author Ronen Bergman. According to Diskin, the decision whether to eliminate a terrorist is exceedingly difficult because "at the end of the day, you are alone. You need to decide - yes or no. If you see a terrorist traveling to commit a terror attack and he has two girls who are innocent sitting in the car. You know that the terrorist will commit a terror attack tomorrow or in three days - do you hit him along with the two girls or not?" Diskin asked. "There are those who don't have this dilemma - kill, it is us or them. These people scare me," added Diskin. Diskin rose through the ranks of the Shin Bet and became known for his prowess in running agents and Arab informers. Diskin dismissed the stereotype of the Shin Bet forcing a source to collaborate by way of threats. "Most of these stories are not true," asserted the former spymaster. "When you recruit an agent by pressuring him, he will betray you in the end. You need to find a way to do it with less negativity." Diskin, regarded internationally for his role in debilitating the Hamas military wing in Judea and Samaria, became a strident anti-Netanyahu critic after retiring in 2011. In the past, Diskin has blasted Netanyahu as weak when it comes to the peace process with the Palestinian Authority and called him "messianic".